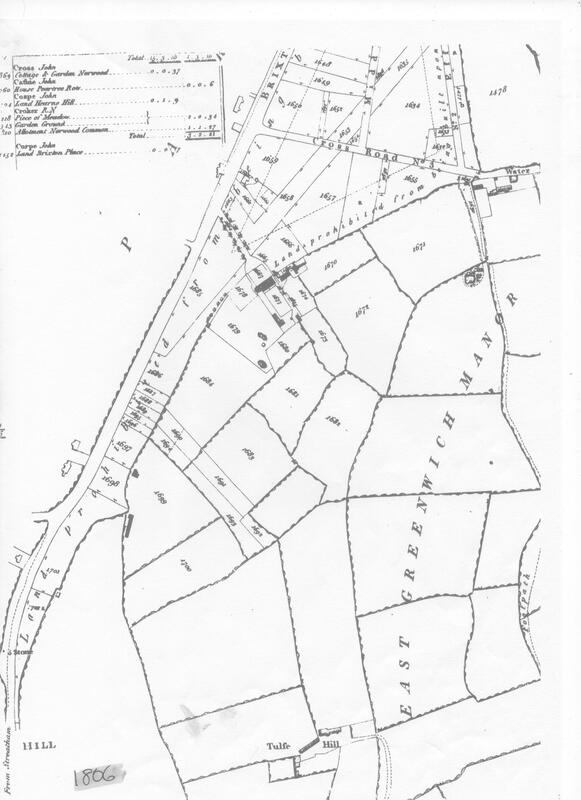 The Lambeth Inclosure Act of 1806 stipulated that “no buildings or erections above the surface of the earth” should be erected upon Rush Common within 150 feet of Brixton Road and Brixton Hill. The “Land prohibited from building upon” can be seen on this map from 1806. 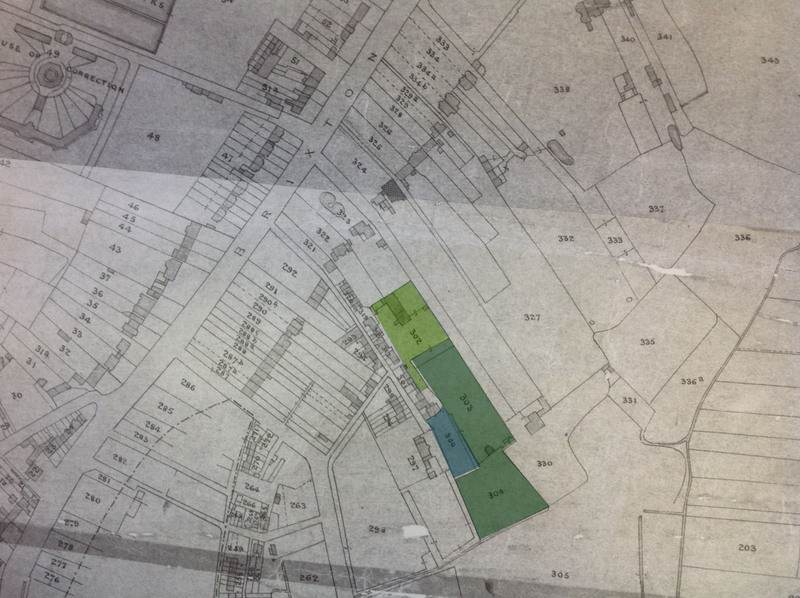 Common land was enclosed, divided up and sold off to developers. 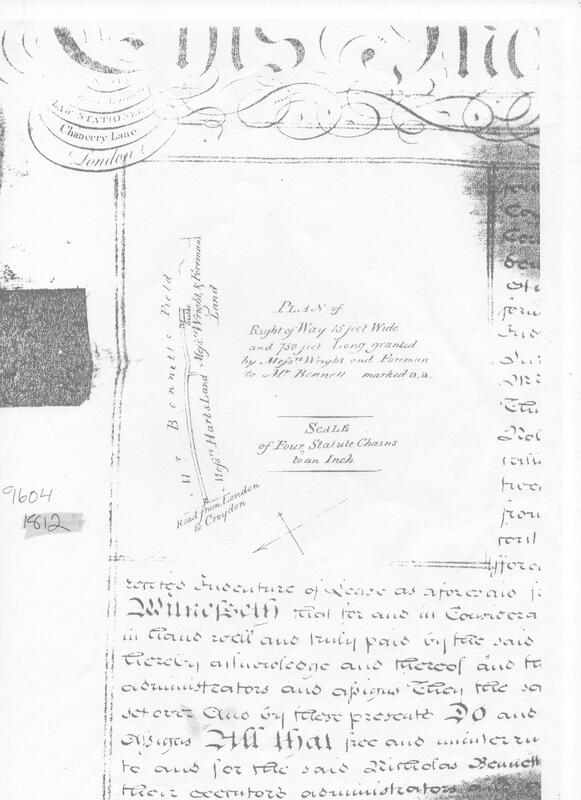 We know from this document that Nicholas Bennett, a pickled tripe merchant, bought land at the top of Brixton Hill from Christopher Chryssell Hall on the 12th April 1806. 750 feet is about the length of Somers Road. The Electoral Register of 1834 shows us that Nicholas Bennett lived in Elm Cottage, Brixton Hill. In 1842 Nicholas Bennet owns the land, two houses and a meadow. 848-1849 was the second outbreak of cholera in London: 14,137 die. 1848 Nicholas Bennet dies in his will he gives each of the four children (Samuel, Mary, Bliss and Nicholas) of his late nephew Dennis Bennett £100 pounds each when they reach 21. He gives Nelson Curtis (aka Nelson Bolter) of Elm Place £500 and for the rest of his natural life the carpenters shop and premises that he now occupies. He also give Alfred Curtis (aka Alfred Bolter) £500. He gives to his late wife’s ?? Reine Henrietta Vanderbosse the sum of £100 and £20 per annumm to be paid by the rent on premises in Brixton Place ??arket?? and also a small cottage now in the ?? of George Barton. Ann Bolter gets £30pa from the rent on a house and premises in Brixton Place. Remains go to his son the Rev. Nicholas Bennettt ??.??. of Queen’s College Cambridge. The 1841 register showed Ann Bolter as a 56 year old laundress living next door to Nicholas Bennett at 1 Somers Place.